Bapparaj set foot in Dhallywood back in 1986 through his father Nayokraj Razzak. 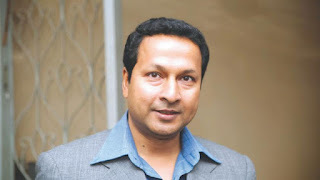 After his debut film “Chapadangar Bou”, he has appeared in over 100 films alongside almost all the greats in the modern Bangladeshi film scene. He last appeared in his own directorial venture “Kartuz” and now he has donned a look much different from what the audiences are generally familiar with. “Missed Call” is being directed by Shafiuddin Shafi and much work for the film has been completed, where Bapparaj will appear alongside Bappi and debutante Mugdhota.